Search the ICOTS knowledge base for information on existing ICOTS issues and frequently asked questions. You can submit a ticket or check the status of your existing tickets by signing in with your ICAOS website username and password. 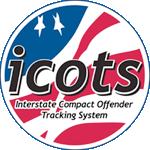 You can also submit a ticket by email to icots@interstatecompact.org. All the frequently asked questions, tips, known issues and general ICOTS information all in one place. Learn how to submit tickets, review your existing tickets and search the knowledge base. View on-demand training modules and review tutorials to learn how to get an account in ICOTS and use the application to process compact activities. Training bulletins provide tutorials and explanations of best practices for the most common activities within the application.